Paul Juarez Luna obituary. Carnes Funeral Home. 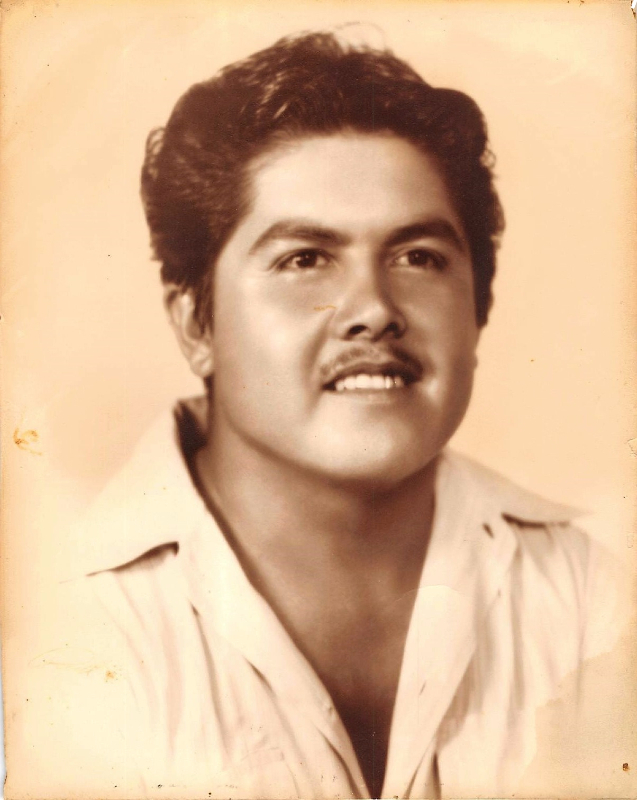 Paul Juarez Luna, 92, passed away peacefully at home on June 16, 2017. He was born in Sugarland, TX to Lucio and Delfina Luna. He was a member of the Local Painters Union and worked many years in the Refineries. After retirement, he kept busy working in his garage fixing on things and enjoying his time outside. 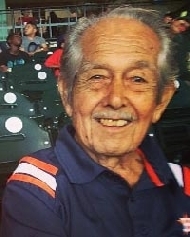 He loved spending time with his family and enjoyed watching the Astros baseball games. He will be remembered for his kind heart and love for others especially to his family. Paul is preceded in death by his parents; children, Raul J. Luna, Lois Avila-Luna, Ronald P. Luna and great great granddaughter Madalyn Squier; brothers, Eduardo Garcia, Joe Luna, Arthur Luna, Raul Luna and Juan Luna; sisters, Socorro Hernandez, Emma Garza and Frances Cardona. Paul is survived by his loving wife of 68 years, Sarah Luna; grandchildren, Kimberly Luna Gracia, Patricia Aguilar, Amber Hawkins, Ashley Luna, Paul Luna (P.J. ); great grandchildren, Megan Gracia, Trey Gracia, Christopher Aguilar, Brandon Aguilar, Taylor Friloux, Austin Aguilar, Ava Friloux; great-great grandchildren, Harper Gracia and Hadley Gracia; sisters, Eludina Hererra, Margaret Balli and Teresa Ruiz and other relatives and friends. David Luna and Manuel Gracia. A Public Visitation will be held at 6:00PM followed by the Reciting of the Rosary at 7:00 PM. These Services will be held Monday, June 19, 2017 at Carnes Funeral Home 3100 Gulf Freeway Texas City, TX 77591. A Christian Funeral Mass will begin at 11:00 AM Tuesday, June 20, 2017 at St. Mary of the Miraculous Medal Catholic Church 1604 Ninth Avenue North Texas City, TX 77590. The Mass of Christian Burial will follow at Forest Park East Cemetery, Webster, TX. Father Clint Ressler will conduct the Services. Memorials may be sent to Carnes Funeral Home.